I've always wanted to see the NBAA show, and this year is shaping up to be one of the hottest anyone can remember. 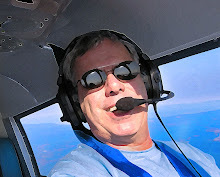 But I've been busy getting a new web site to go live in time for their big product rollout at the show this week, so I wouldn't have been able to go even if I could buy a fleet of bizjets. Over at Aero-News Network, their Aero TV Network is streaming daily "Aero Briefings" on a number of topics. 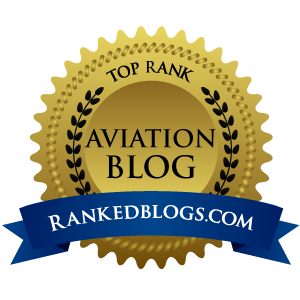 This is one great source, but while ANN grows its viewership, AINtv.com is still the king of business aviation streaming show coverage. If the many "pods" streaming out of Atlanta right now on their network doesn't blow you away, then you need to keep the defibrillator paddles close at hand. Streaming video on the web has always been a crapshoot. There has always been the tug-of-war between Windows Media Player files and Quicktime, and being a Mac guy, I preferred the latter. But today, a number of third-party solutions from Brightcove as well as Macromedia's Flash technology have leveled the field for the end user, and the result is very clean, very enjoyable Internet video. Just spend time on YouTube and you'll see what I mean. (and BTW, spending one minute on YT is like eating one of those damned potato chips...betcha can't watch just one...minute). So go here or here and see what I mean. Just a word of caution...you had better block out some serious quality time with your 'puter...because you're going to find it very hard to tear yourself away from either of these sites once the videos roll and the fun begins.